Can you help us purchase a safe, reliable vehicle? 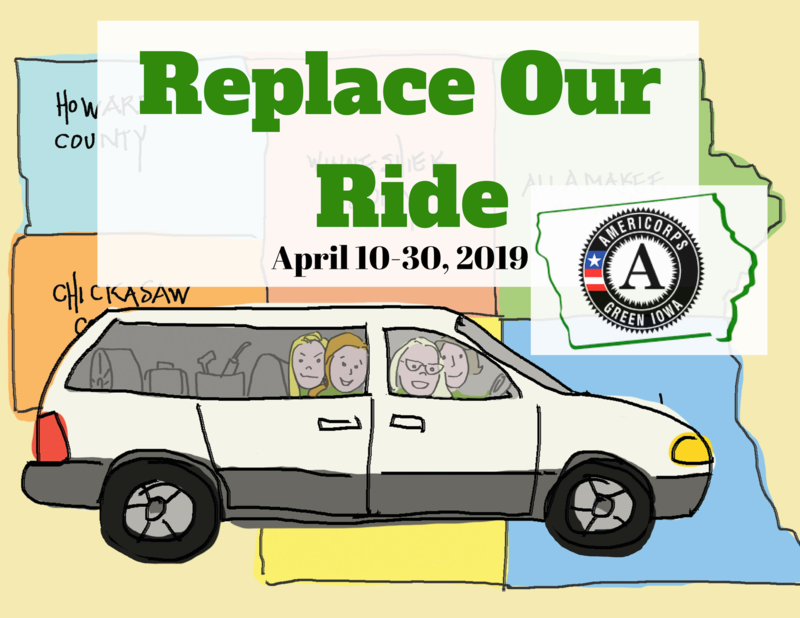 From April 10th-30th we are fundraising to reach a goal of $9,000 for a vehicle that will offer safety and reliability for years to come. $25 “Spark Plug” Every little bit helps! In addition to our heartfelt gratitude, you will receive a special vehicle-inspired postcard. $50 All Wheel Drive Your generous gift is just what’s needed for this effort to gain traction! In addition to our heartfelt gratitude, we’ll mail you a custom vehicle-inspired thank-you and your name will be printed on the vehicle’s back window. $100 VROOOM! Thank you for helping us pick up speed to meet our fundraising goal! Your name will be put on the new vehicle’s back decal, will receive a vehicle-art postcard, and are invited to a naming party for the new vehicle once it is purchased. Thank you for helping us meet our goal and continue to serve northeast Iowa!